Yesterday was “Back to the Future” day, the day on which Marty McFly and Doc Emmett Brown travelled in a time machine to 21 October 2015 in the 1989 film Back to the Future II. We watched the film on DVD for old times’ sake, and I thought that Doc Emmett Brown looked a good deal like the real Dr Who. 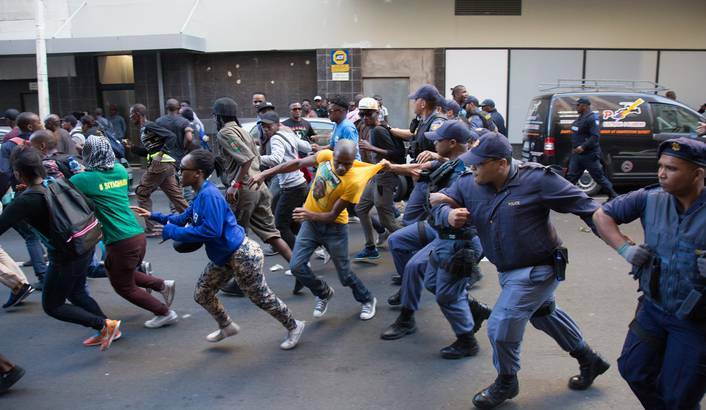 But, in other news, it was also forward to the past, with police beating up students outside the Houses of Parliament in Cape Town. It was like 1968-1972 all over again. When students stormed Parliament’s grounds on Wednesday afternoon, SHAUN SWINGLER was there to document the police’s brutal response. For those old enough to remember 1989, when Back to the Future Part II was made, it was the annus mirabilis, the wonderful year in which freedom was breaking out all over, and repressive regimes all over the world were falling, including here in South Africa. It was the year of the fall of the Berlin Wall and PW Botha. And for those even older, 1968 was a rehearsal year for 1989. It was the year of student power, flower power, and the Prague Spring. Flower Power probably saw its greatest victory five years later in the Carnation Revolution, which overthrew the Portuguese dictator Marcelo Caetano. Student power touched South Africa too, and there were student demonstrations in universities here. After the early 1960s South African students seemed to have become rather timid, but in 1968, perhaps encouraged by the world-wide student protests, things began to liven up again, especially in the period 1968-1972. In June 1972 there were protests in Cape Town outside Parliament. The NP government banned protests in the grounds of parliament itself and in public places, so students gathered on the steps of St George’s Anglican Cathedral, which was private property belonging to the church, though visible to passers-by in the street. The police rioted, chased the students into the cathedral and beat them up. Back to the future. In 1994 we had our first democratic elections, and we had a new government, which promised to redress the injustices of the past, and to transform society, including education. 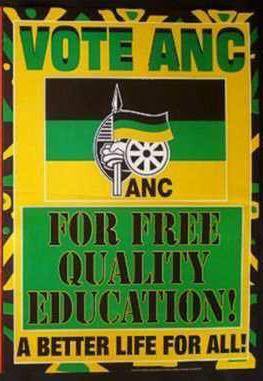 One of those promises, relating to education, is displayed on this old election poster. I suggest that students protesting against the increases in study fees should wear T-shirts with reproductions of this poster, to remind the politicians of their promises. And the politicians should also rein in the aptly-named riot police. They rioted in Marikana, and now they are rioting in Cape Town, at parliament where the politicians can see them in action. Forward to the past, to Sharpeville. In a democratic society a person has the right to be illiterate. Thus spake the Dean of the Education Faculty at the University of South Africa on 13 October 1993. One was in South Africa and the other in the UK, but in both cases it is people responsible for speading education seeking to limit its spread. I participate in an online forum that deals with English usage, and one fairly new member mentioned that she homeschooled her children. This prompted a (to me) quite extraordinary display of bigotry and prejudice. I was aware that, for some people, homeschooling is a controversial topic, and that some are quite vociferous in their support of the practice, or their opposition to it. I just didn’t expect quite such a degree of bigotry from people in that forum. Many of them are professionals in the natural sciences, and they sometimes refer to the “scientific method”, which I thought meant that one should investigate a phenomenon to find out what it is, rather than jumping to conclusions, and, like the Queen of Hearts in Alice in Wonderland, pronouncing the sentence first, to be followed by the verdict, with the evidence coming later, if at all. Would you home school your children or do you prefer a traditional school?Coming up we chat about the pros & cons of home schooling. And I thought perhaps there is more to say, though for me the important question is not so much the pros and cons of home schooling as the bigotry and prejudice that surrounds it, making it very difficult to have a rational discussion (and so much of the bigotry seems to emanate from those who like to emphasise the importance of rational discussion). I have been asked by several people to share my opinions on homeschooling. Well, what can I say about this atrocious practice that cripples children socially and intellectually in order to serve the needs of fanatically religious, racist, or socially unadapted parents? When I first heard about this practice, I couldn’t believe that a civilized country would allow such a huge percentage of children to be deprived of the benefits of secondary education. Short version: we moved to Cyprus in 1997 when our sons were eleven and nine years old, and decided to home educate for a few months while we settled in. We liked it so much that we continued. They are now 27 and 25. One works in a media group in the UK after spending four years working on a ship. The other achieved a high 2:1 in his degree course in the UK, completed an MA at Notthingham University, and is now working in Cyprus. Neither has any regrets about not having been to secondary school. To categorise all parents who teach their children at home as “fanatically religious, racist, or socially unadapted” is sheer unadultrated bigotry. I’m not a fundi on home schooling or home education, but from what I’ve heard and read about it it is a pretty varied phenomenon, and people do it for a wide variety of reasons, so it is both simplistic and unjust to dismiss all those who do it as “the bad guys”, the “black hats” of the old Western movies. Perhaps the tendency to do this is part of an American cultural trend, to categorise everyone into “good guys” and “bad guys”, and treat them accordingly. Certainly a lot of recent US foreign policy seems to have been run on this principle — President Bashir Assad is a “bad guy”, so those opposing him must be “good guys” and must be supported in bringing about his overthrow. For myself, I don’t feel qualified to make blanket judgements on whether home schooling is a good or a bad thing. A lot depends on circumstances, including the quality of the public school system, and the quality of the teachers in it, and the ability of the parents to teach their children. In South Africa I know that, in some cases at least, racism is a motive for homeschooling. Back in the apartheid days the education policy of the government was based on “Christian National Education” (which, according to B.J. Vorster, was called Fascism in Italy and National Socialism in Germany). Parents who didn’t want their children indoctrinated into the apartheid ideology could send their children to private schools, or teach them at home. The government, aware of this, nationalised church schools for blacks, and stopped subidising those for whites. When South Africa became a democracy in 1994, some erstwhile supporters of the state school system became advocates of home schooling, because the education system in state schools would no longer have a racial basis. So some people have undoubtedly become advocates of home schooling because they were racist, but by no means all advocates of home schooling are racist. The site I referred to above suggests some reasons for parents wishing to educate their children at home, but those reasons will surely vary according to the quality of the schools and teachers in that place, and according to the children and their family, and the ability of the parents to teach. Illiterate parents will not be able to teach their children to read, and so on. All this needs to be taken into account rather than issuing blanket condemnations and pontificating about “child abuse”. Sometimes child abuse can come from sadistic teachers and bullies among the fellow pupils. The same also applies, mutatis mutandis to those fanatical advocates of home schooling who have nothing good to say about the public education system. For them there are no “good” schools, but all are uniformly bad. It’s still black hats and white hats, but instead of the boot being on the other foot, the hat is on the other head. Those with a naive faith in the public education system, who think that all home schoolers are socially maladapted child abusers should perhaps add this book to their reading list. Perhaps it was something in the public education system that made you so closed-minded, and perhaps you should check to see what it was. You might need to do a bit of self-education to remedy that. My old school, St Stithians College, is celebrating its jubilee this year, 60 years after its founding. Yesterday they arranged a reunion of sorts, of those who had been at the school from 1953-1957. Our recent holiday in Namibia took me back 40 years into the past, this took me back 60 years. Only one of my classmates was there, Chris Aitken, who had been in the same class from 1953-1956. But there was no one there from my matric class of 1958. What a bunch of old fogeys we were! I didn’t recognise anyone, and I don’t think anyone recognised me, without looking at the name tags. It started with a service in the chapel, and with the usual Gauteng traffic jams I arrived 10 minutes late — it still takes more than an hour and a half coming from Pretoria. 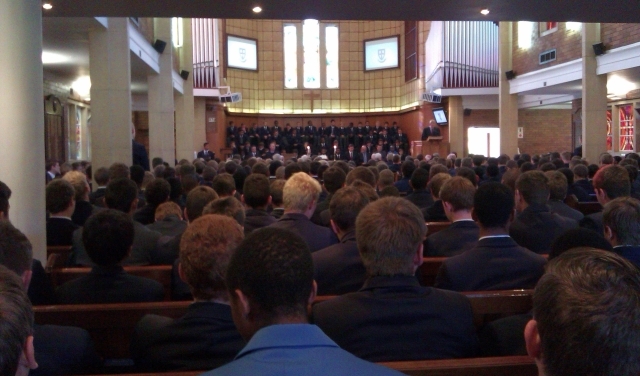 The chapel was packed — they obviously can’t fit the whole school, with more than 2000 pupils, in there now, so it was just the senior boys, grade 8 and over. The next day there was to be a celebration involving the whole school, which was to be held on the playing fields, because there was no indoor space big enough to hold them all. The school chaplain, the Revd Dan Nkomo, spoke, and Alastair Stewart showed something of how the school had developed in the last 60 years. A choir called “The Dukes” sang a couple of things, and once again I was impressed by their musical prowess, which was way ahead of anything that we had had back then. Then we went on a walkabout, touring the school under the guidance of the head of the boys’ college, Dave Knowles. When St Stithians started in 1953 the school was one, but now it is divided into four — a boys’ college, a girls’ college, a boys’ prep and a girls’ prep, each with its own head, and a Rector in charge of the whole lot. So the biggest change was the sheer size of the place, and the facilities, like WiFi everywhere, that were beyond our wildest dreams in 1953. One of the things that sold me on St Stithians when I first went there was that it seemed to be on the technological cutting edge compared with other schools that I had been to. The boarding houses were wired, not for the Internet, in 1953, but for radio. Each bedside was equipped with earphone sockets and a volume control, and the idea was that the housemaster would switch on the radio at lightsout at 9:30, and we could listen to it before going to sleep. It never worked properly, however, at least not in the first couple of years. And then demand for boarding accommodation exceeded the space available, so they put four beds in a dorm room designed for three, so the fourth bed did not have an earphone jack. But by my final year it was working after a fashion, and every Monday night we listened avidly to Strangers from space. It started rather scarily with a news item about global warming, and the polar ice caps melting, and the sea levels rising, and scientists trying to discover the cause. It sounded quite real. That got us hooked. 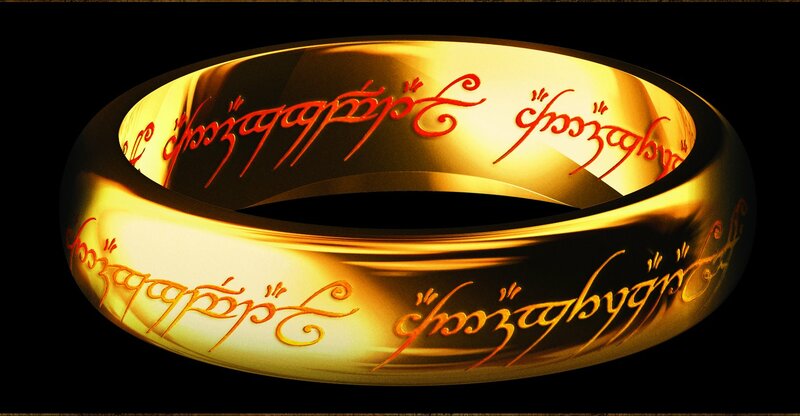 After a few episodes it became apparent that the author was running out of ideas, and after about a year it fizzled out, but it was quite exciting when it started. 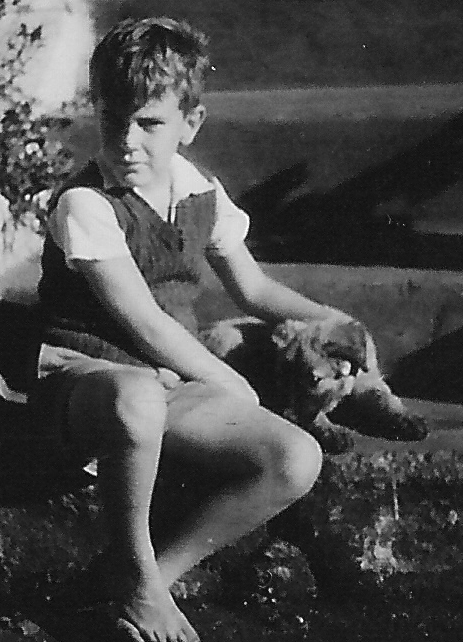 When I first went to St Stithians in 1953 I was in one of those three-bed rooms, with Chris Aitken and Edward Reeves. Then Edward Reeves broke his arm and moved to a single room, and we were joined by Peter Wallis, a new boy who arrived halfway through the year, and mysteriously disappeared at the end of it. In 1954 we were joined by Billy Glass, and he too was at the reunion. I think back then I was 12 years old, Chris Aitken was 13, and Billy Glass 14, and we looked a lot different from what we do today. There’s a picture here showing two of us back then — can you guess who we are without looking at the caption? But going round the school was also a somewhat fractured experience. A housemaster told us how the boarding houses are divided into “family” units, each with a master in charge. He said that there was not much fagging, as there had been in boarding schools in the old days. And I felt as if I was in a time warp. Harking back to 1953 seemed to be taking a trip into the future, because there had never been fagging at St Stithians in our day. It may have existed in other privatre schools in South Africa, but it was known mainly as a throwback to English public schools of 60 years earlier. It was the kind of thing that in the 1950s we read about in books like Biggles goes to school , which was set in the pre-First World War period, which seemed to be in a remote past almost impossible to imagine. And yet we were stepping out of a past that must seem just as remote to the present pupils of St Stithians. Apartheid? What’s that? Something you learn about in history lessons, perhaps. And yet the present St Stithians seemed in some ways to belong to that remote past. All my fellow old boys were wearing suits and ties, or at the very least, blazers and ties. And the pupils all addressed us as “Sir”. I thought that had disappeared from schools long ago. It felt, in some ways, like the “Stepford wives”. We were taken to some of the old classrooms, the ones that had been built when we were at the school. And we were told that the first headmaster, Wally Mears, had incorporated his philosophy of educzation into bricks and mortar. He believed in small classes, and the classrooms were built small, with load-bearing walls between them, which made it rather difficult to knock two of them into three, which had been done. And Wally Mears had brought in Steyn Krige, whose progressive ideas about education and discipline had got him thrown out of the school in 1969. His name has returned to the school, as one of the new blocks is named after him, but evidently his ideas have not. So in some ways St Stithians seems a bit further back in the past than it was in 1953. In the first couple of years there were no fags and no prefects, and on the first day, there were no rules. 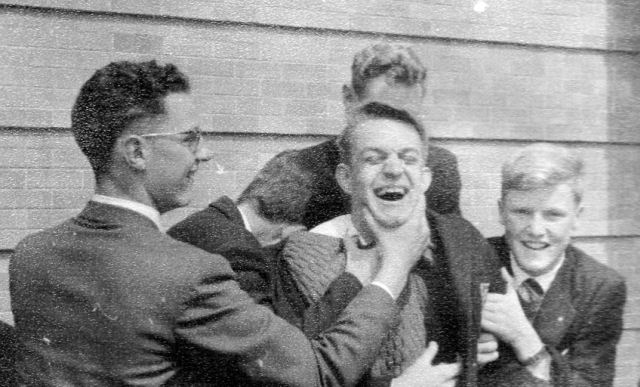 Wally Mears said, to the first pupils who had just arrived, and didn’t know each other at all, “You will make the rules by your own behaviour.” Even the talk of fags seemed odd. The word has changed its meaning since 1893. But I suppose that back in the 1950s we didn’t look all that much different from the present-day pupils. 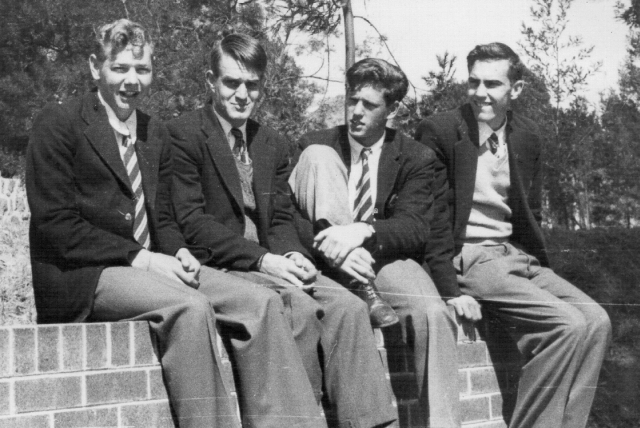 Here’s a picture of some of my friends from my matric year, 1958. And two of those who appear in the following picture were at the reunion event yesterday — Iain Thornton and Owen Walton. Those are just a few of the memories and reflections evoked by the gathering, and it was a very pleasant and well-organised affair, and ended with an excellent lunch kindly provided by the St Stithians Alumni Association. I worked in the Editorial Department because there were a couple of meetings … including some guy talking about the post structure of the university, and how it needed to be rational and scientific. Glynn Meter asked him if that was what their values were based on, and he didn’t understand the question. Obviously he thought “rational” and “scientific” must be approval-eliciting words, and it did not occur to him that they could elicit disapproval. I left at that point and went to do some work. That was when I worked at the University of South Africa, and the bureaucrats were always thinking up ways of wasti ng time on unproductive activities. One of them was filling in questionnaires about how one spent one’s time, and an inordinate amount of time was spent in filling in questionnaires like that, because it was thought to be “rational” and “scientific”. It is now twenty years since”Model C” was forced on formerly “white” schools in South Africa, and we still haven’t heard the end of it. Two years later apartheid officially ended, democratic elections were held, and one would have thought that Model C schools, a last-ditch attempt to retain a vestige of apartheid in the former white schools, would have been swept into the dustbin of history, never to be heard of again. But instead we hear of them quite frequently, and people speak of “Model Cs” and Model C accents”, so that instead of being seen as the last twitches of a dying monster, Model C continues, undead, like a vampire, to plague the new South Africa — as its inventors intended, though perhaps not quite in the way that they intended. For those who weren’t around when Model C schools were introduced, perhaps a brief recap of history may be in order. The Union of South Africa was formed, in 1910, from two British colonies and two former Boer republics, which became provinces of the Union, and education was regarded as a provincial matter. So the provinces had differing education policies, but within any province all schools followed the same syllabus, and wrote public exams (such as Junior or Senior Certificate) to the same standard. There was disparity between black and white schools, with more money spent on white schools, and white teachers being paid more, but they had the same syllabus and wrote the same exams. Some provinces insisted on single-medium education for white pupils (either English or Afrikaans) while some allowed dual or parallel medium schools. Provinces could decide whether or not to subsidise church schools and by how much. Most church schools were subsidised. When the National Party came to power in 1948 it took control of black schools away from the provincial governments and centralised them under the Department of Bantu Education, with a different syllabus tailored to National Party ideology. The government then established “homelands”, and when these “homelands” became “independent”, control of education was given to them, but only for black pupils. White pupils living in the “homelands” (or white enclaves within the “homelands”) had white schools still controlled by the provinces that the homelands had formerly belonged to. The central government later took control of Coloured and Indian education, and, with the 1983 introduction of a tricameral parliament, took white education away from the provinces as well, placing it under the House of Assembly, the white section of parliament (the others were the House of Representatives, for Coloureds, and the House of Delegates for Indians, but even together they could not outnumber the House of Assembly, so whites remained firmly in control). So white education became a white “own affair” under the House of Assembly, and all was well in the apartheid heaven that the Nats had created, except that the few remaining church schools (that had not been nationalised at the time of Bantu Education) were no longer anybody’s “own affair” and began to admit children of all races. And then in 1990 the De Klerk government released jailed opposition leaders and unbanned opposition parties. The writing was on the wall. Democracy was coming, and soon all these white “own affairs” schools would come under the control of a non-racial parliament. How to preserve the little bit of “own affairs” apartheid heaven from what was still seen by many in the NP government as the “total onslaught”? So they came up with a crafty plan. Democracy was beginning to become politically correct, so let’s give the parents a say in the schools. So they decided to hold referendums of parents at each school, and presented them with four Models — A, B, C, and D. If a majority of 90% of the parents in a school decided in an 80% poll to adopt one of the models, then they could have it. Model A was basically the status quo. An all white school run (and largely paid for) by the House of Assembly own affairs. Model B was similar, except that the school could decide its own admission policy. That meant that if the governing body of the school decided to admit pupils of all races, it could do so. Model C was essentially privatisation. The school would become a private school, controlling its own admission policy, and would become responsible for upkeep of all the buildings and property as well. There would be a subsidy for teachers, but not to cover all maintenance. Model D was basically one for special needs schools. In some posh white suburbs the richer parents were attracted to Model C, which seemed to them to be a way of getting a private school on the cheap. Among the less rich, it looked as though in Model C the government was saying, in effect, “if you want black kids in your school, you must pay for it”. The school our children went to, Clapham High School, voted overwhelmingly for Model B. Twice. Over 90% of the parents voted for it. The first time, in February 1991, it just fell short of the necessary 80% poll. So they voted again in September 1991, and made an effort to get all the parents to vote, and well over 90% again voted for Model B. And a month or two later the school was informed by the government that it would become Model C, which the parents had rejected by an overwhelming majority of votes — twice. It was a case of “You will be privatised, whether you want to or not”. Perhaps that was a punishment for wanting to admit pupils of all races, and rejecting the apartheid dream. And two years later the apartheid dream (which was a nightmare for most people) ended anyway. Quite a number of parents from different schools held meetings to discuss ways in which Model C could be resisted, but in the end nothing came of them. But Clapham High School became a Model B school in 1992, and on the 8th of January of that year the first black pupils came to the school. In 1993 it was forced to become Model C, like all the other “House of Assembly” schools. Some relations of ours were thinking of emigrating to New Zealand, and told us that it was because they had had to take out an extra mortgage on their house to pay the Model C fees. One of the more cringeworthy moments was at a school annual general meeting, where the principal referred to “the successful integration of the formerly Model B and now Model C pupils”. To refer to non-white pupils as “Model C pupils” seemed patronising in the extreme. We hoped that after the democratic elections of 1994 we would hear no more of that sort of thing. One of my old school teachers died this week. I suppose I’ve reached an age where I should not be surprised at such things, but I’m nevertheless saddened by his passing. He was Marthinus Theunis Steyn Krige, known as Steyn, and he was my geography and scripture teacher at St Stithians College, Randburg, from 1954-1958. It is with deep regret and sadness that we must inform you that Mr Steyn Krige passed away peacefully on Tuesday night, 27 September 2011, after a long illness. 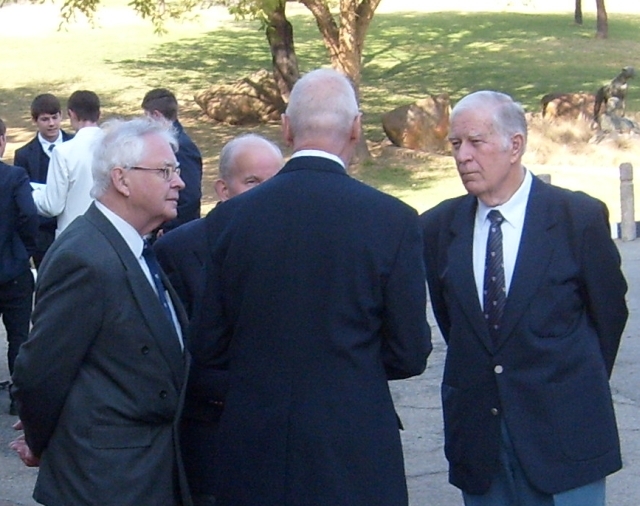 Steyn was the second Headmaster of the College from 1962 – 68 and the recently-opened class room block at the Boys’ College was named the Krige Block in his honour. Steyn matriculated from Rondebosch Boys’ High with a first class Matric and taught at that school before moving to St Stithians. At Saints he became Second Master under Wally Mears as well as Mountstephens Housemaster. He succeeded Mr Mears as Headmaster. He was a conscientious and dedicated teacher and a deeply committed Christian. He was instrumental in founding and developing the Randburg Methodist Church. Whilst Headmaster of St Stithians, he was also Chairman of the HMC, forerunner of the present day SAHISA (South African Heads of Independent Schools Association) and, as Chairman of the HMC, he played a major role in the opening of private schools to all races. Steyn was a profound educational thinker and many of his innovations are still with us – the option of African languages, Integrated Studies, a three term year and the tutor system. He was also a progressive educationalist and, after leaving St Stithians, went on to found Woodmead School which was a beacon of liberal education in the 1970s and ’80s. He also founded the New Era Schools Trust, an educational trust, in 1981 together with Dean Yates, a former headmaster of St John’s. Our sincerest sympathies and condolences go to Steyn’s widow, Hazel, their children and grandchildren, including Ken, a former teacher at the Boys’ College and currently Headmaster of Felixton College in KZN. Please hold them in your thoughts and prayers at this sad time. His funeral will take place on Friday 30 September 2011 at 14h30 at the Randburg Methodist Church. He taught me for most of my time in high school at St Stithians College from the age of 12 to the age of 17. For the first couple of years he taught Geography, Chemistry and Scripture. Chemistry wasn’t his field, and some of his experiments went horribly wrong, and I think he cookbooked his lessons. But he was a good teacher, and even when his experiments went wrong and the expected didn’t happen, we knew what was supposed to have happened. 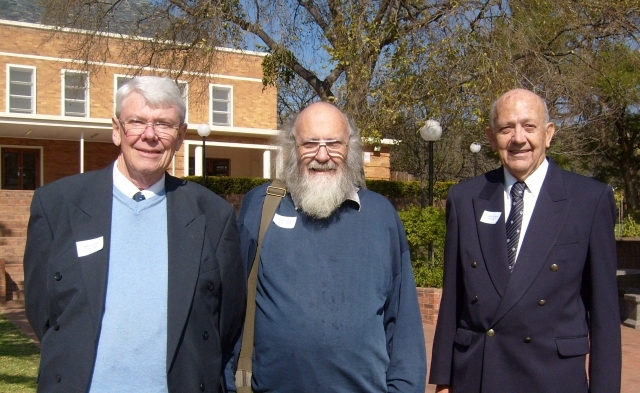 The year before he came to the school I had begun to break away from my atheist/agnostic upbringing and become interested in reading the Bible, and Steyn Krige hosted voluntary Bible study groups in the housemaster’s flat where he lived with his family. He also arranged camps during the school holidays — in the Western Cape, in the mountains of Lesotho and in other places. And he it was who guided me and showed what it meant to be a follower of Jesus Christ. I rather hope that someone will write a biography of Steyn Krige one day, because the announcement of his death sent out by the school was almost as notable for what it didn’t say as for what it did say. It said that a classroom block at the school was named after him. I’m glad to hear that, because to my recollection the school treated him pretty shabbily, and it’s good to know that they perhaps tried to make amends in that way. The obituary says that after leaving St Stithians he went on to found Woodmead School, but did not mention the fact that the reason for his leaving St Stithian’s was that he was sacked. The story of his sacking was all over the Sunday newspapers back in 1969, but the reasons for it were never revealed. Perhaps now is the time to tell it. In December 1998, Woodmead School, the first fully multi-racial school in South Africa, closed its doors after twenty-eight years. Employees who had served the school faithfully were evicted from their houses on the property. 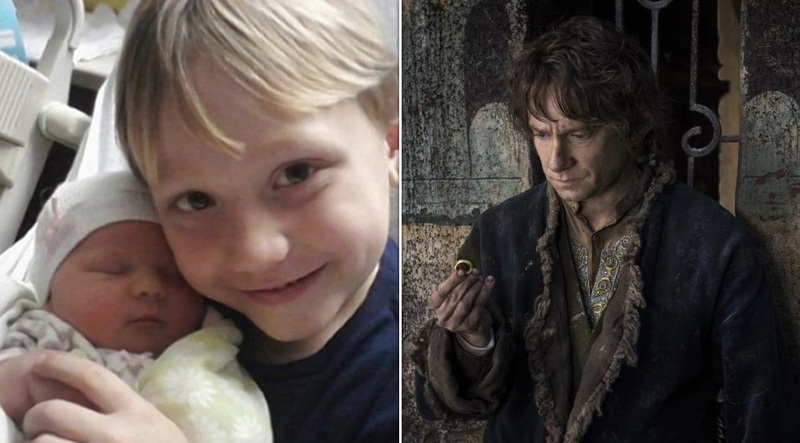 Some had been there from the beginning. Most had nowhere to go. To exacerbate matters the school’s Board breached numerous tenets of the National Labor Laws. It withheld information. It ‘fobbed off’ concerned parents. In the end, several members of the Board fraudulently ‘donated’ Woodmead’s Preparatory School to a spurious company. It was then secretly sold to Crawford College for a fraction of its value. The people who closed Woodmead School didn’t understand its unique place in South African history. What occurred was a tragedy. Why did it happen? An anonymous article rescued from Yahoo’s dustbin is not much to go on, but it does make the questions What happened? Why did it happen? more insistent. It seems that in his teaching career Steyn Krige experienced a considerable amount of back-stabbing. When I arrived at Woodmead in 1981, Steyn Krige was still the Headmaster. He had pioneered much of what was unique about Woodmead – the Tutor System, the Tier System, its democratically elected Student Council and Integrated Studies. He particularly liked to discuss Integrated Studies, one of the school’s shining lights, and he would periodically announce that it was time for a conference to assess the current progress of the subject. In theory, Integrated Studies replaced English, Geography, History and Social Studies, but in practice it encompassed a great deal more. Emphasis was placed on themes rather than topics. Each theme was approached from different directions and students were encouraged to explore the theme along a range of pathways. Skills were emphasized and independent learning encouraged and fostered. The students were enormously enthusiastic and supportive. There were classes of fifty but the strength and breadth of the subject offset the disadvantage of large classes. What emerged from the Integrated Studies program were highly motivated students who approached their final years of secondary school with confidence and enthusiasm. In 1982, I conducted a series of interviews with Standard 8 (Grade 10) Integrated Studies students who, without exception, spoke in glowing terms about the value of the subject, its significance in the school curriculum and the positive way it had influenced their academic progress. When I was at St Stithians Steyn Krige was only deputy headmaster and there was no talk of “Integrated Studies”, but I think I experienced some of the precursors. On one occasion we had a double period of Scripture and Geography, taught by Steyn, and the one flowed seamlessly into the other with no break, with wide-ranging discussion on all kinds of topics, including the end of the world and flying saucers. We rather smugly thought that we had put one over Steyn, and got away with turning a formal lesson into a bull session. But actually people paid far more attention in the bull session than they did in formal lessons. Perhaps that’s where Steyn got the idea, or perhaps he already had the idea, and took advantage of a double period to try it out. Reading the paragraphs above about Woodmead, it is also clear that by South African standards of the 1970s, Steyn Krige was a loony leftist. By American standards of the present day, he would be regarded as belonging to the Religious Right. Steyn Krige’s theology was Conservative Evangelical. St Stithians was a Methodist Church school, and a Methodist minister would come and preach in the school chapel on Sunday mornings, but the rest of the week the religious life of the school was guided and directed by Steyn Krige (a Methodist) and Derek Hudson-Reed (a Baptist) and they ran the informal evangelistic “hot gospel” sessions on Sunday evenings, which usually ended in an “altar call”, and the voluntary Bible study and prayer meetings where we learned far more than in formal “Scripture” classes. Steyn was a Pre-Trib Pre-Millenniallist, though he never used those terms and I only came to understand what they meant several decades later. He taught the “rapture”, though he never used such fancy theological terms, and it was only much later that I discovered the theological meaning of that as well. So when I was at school, Steyn Krige was showing that it was possible to be politically liberal (and even radical) while being theologically conservative, and I’m sure that those aspects of his life were pretty well integrated too. 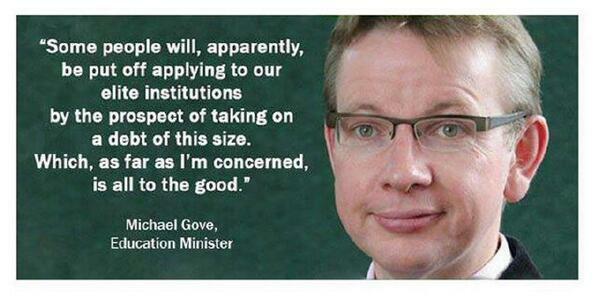 And I suspect that this may have been one reason why he was sacked. School boards, and even the boards of church schools, tend to be composed of hard-headed businessmen (who, it would be hoped, would be good at raising money for the school), but to such businessmen both religious fanaticism and political radicalism would be anathema. But I’m guessing now — that’s why it would be good to know the real story. I try to think of what my life might have been like if Steyn Krige had not influenced me as he did, and somehow I just can’t imagine it. An examination of teacher supply and demand leads to the conclusion that South Africa urgently needs more and better teachers and that the country’s teacher management and training system needs radical overhaul. These are among the key findings of a new report by the Centre for Development and Enterprise (CDE), Value in the Classroom: The quantity and quality of South Africa’s teachers. “South Africa’s education system is underperforming, especially in terms of maths and science results. When compared to many other developing countries, our expenditure on education is not being matched by results, and research shows decisively that good teaching is vital for better results,” said Bernstein. That should have been one of the highest priorities of the first democratically elected government in 1994 — the transformation of education. Children who were born in 1994 will be leaving school at the end of this year, and the education of an entire generation of entire generation of school children has been compromised. We knew that the education system was underperforming back then, and nothing was done, other than introduce OBE (Outcomes-based education) which makes hugely increased demands on teachers, who were for the most part undertrained and badly trained. Instead of introducing a new system, priority should have been given to training and re-training teachers, but “transformation” was merely a buzz-word in the mouths of politicians, and made little difference to the education system. Certainly it needs overhauling, but we knew that back in 1994. Why have we wasted 17 years? And what hope is there that we won’t waste the next 17 years too?